Frequently visit different super shop to promote product and ensure product availability. 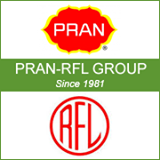 Directly interact with consumers and provide information about products of PRAN Group. Visit different outlet and super store or wet market to promote and increase brand value. Merchandise and answer questions for the purpose of generating public interest in brand or product. Generate sales opportunities and build consumer preference of a brand name. Minimum H.S.C & Graduates are encourage to apply. Females are highly encourage to apply. Have strong mentality to do field base job. Good speaking & writing ability in English and Bangla. Should be flexible, smart, dynamic and proactive with positive thinking & approach. Update daily activity report and submit to immediate supervisor. Any other task assigned by the management related to marketing & sales. Hard working, self-motivated and committed individual.